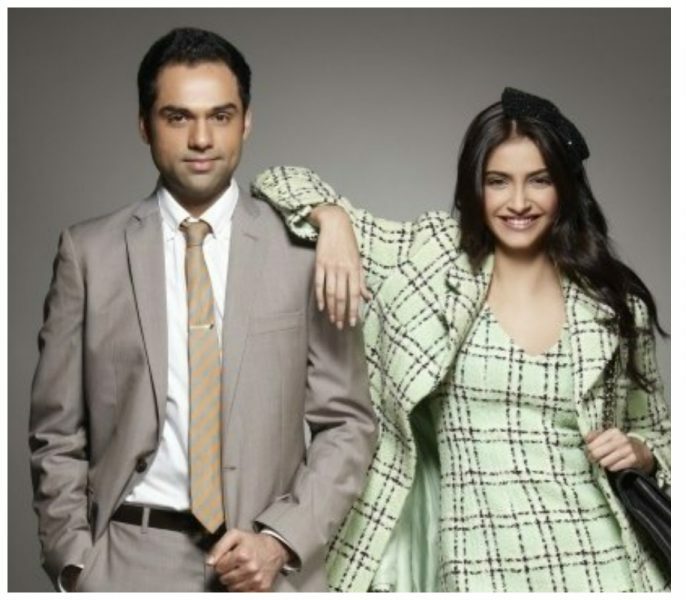 By now we all know how Abhay Deol lashed out at all those in Bollywood who at some point or the other endorsed fairness creams. 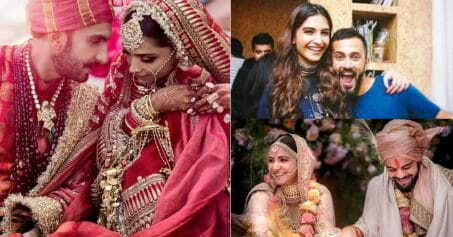 Right from Deepika Padukone to Sonam Kapoor to King Khan himself, no one was spared of Deol’s wrath. 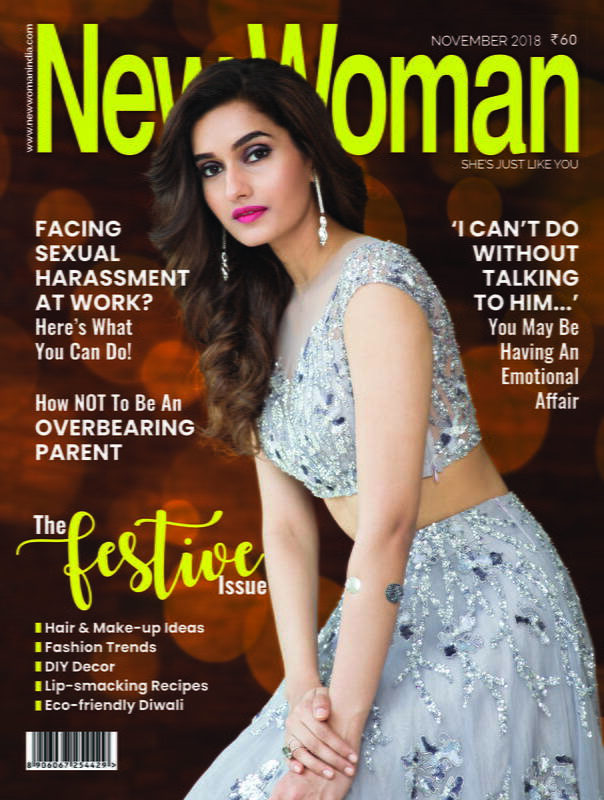 While most of these stars kept quiet and did not respond, Abhay’s co-star in Aisha and Raanjhanaa, Sonam Kapoor, did not take things lying down. 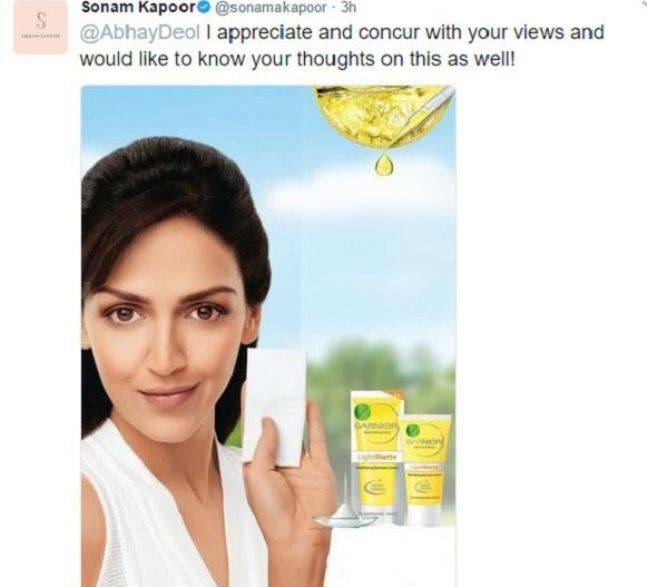 Sonam Kapoor literally dug out a picture of a fairness cream ad featuring Esha Deol and tried to outsmart the actor. But Abhay, was far from flustered. That’s right. Sonam Kapoor deleted all her tweets later, but the screenshots are still there for all to see. Now, we are not sure why she really went ahead and deleted the Tweets, really! So far, only Sonam Kapoor has responded. It remains to be seen whether the other actors Abhay called out respond as well.